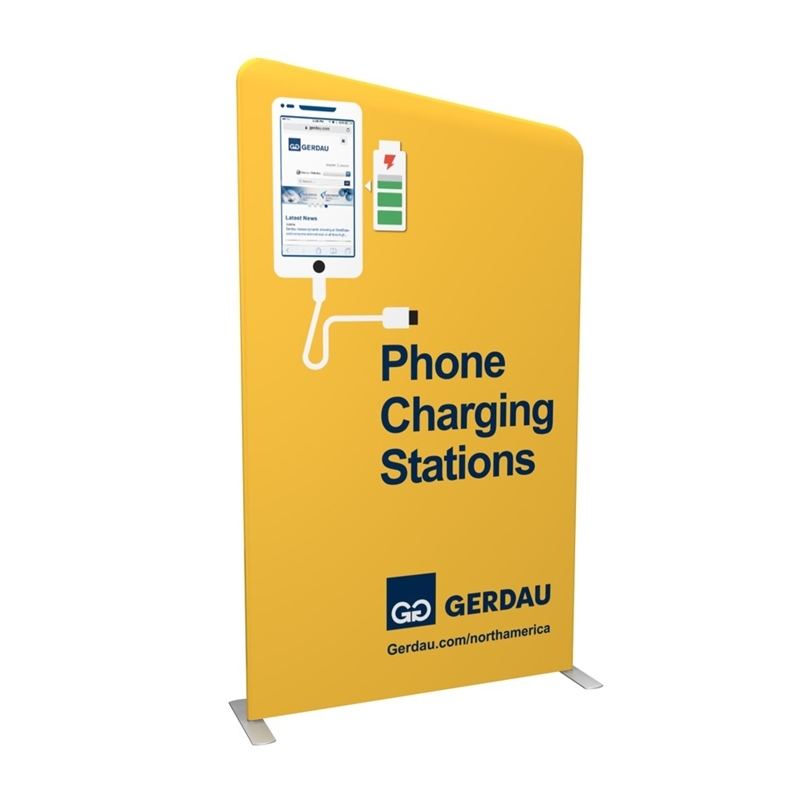 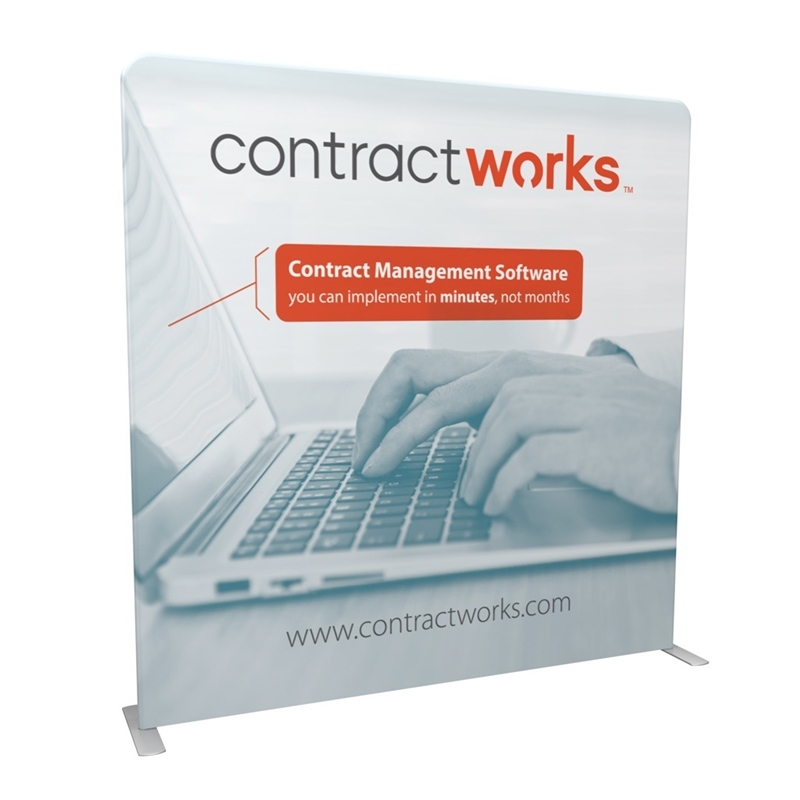 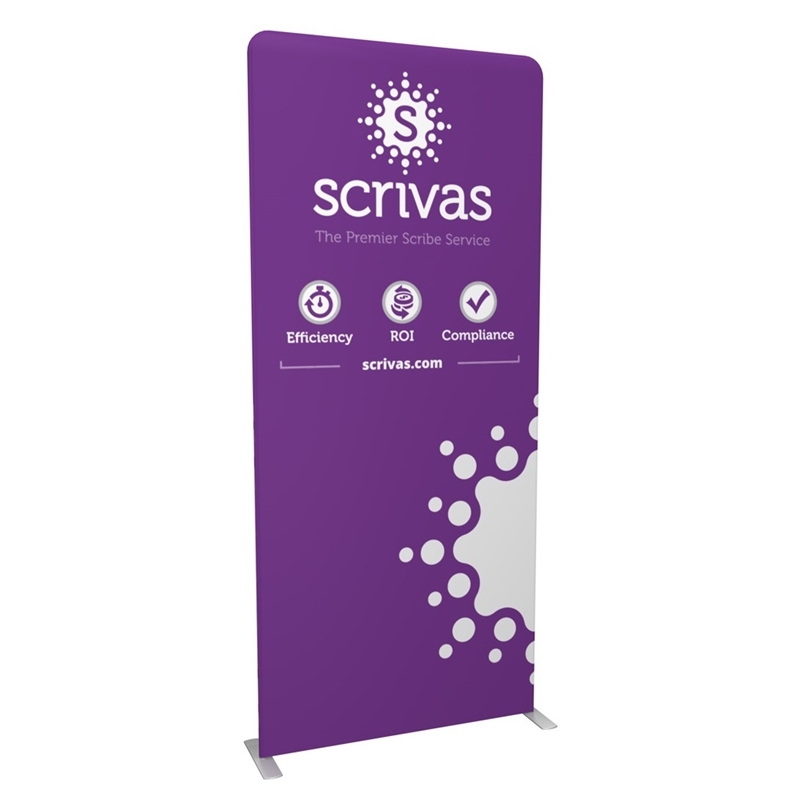 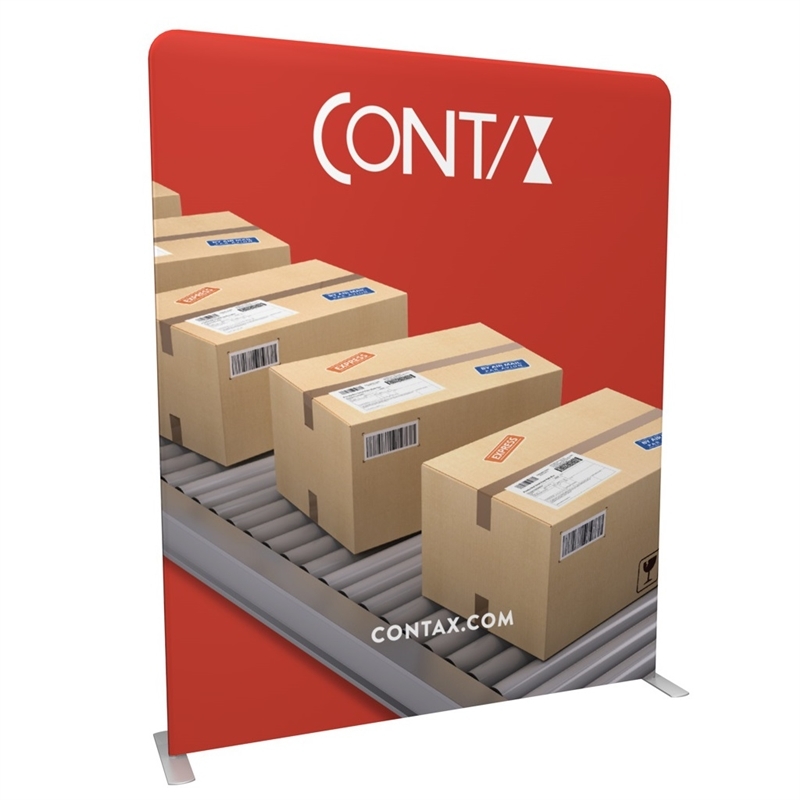 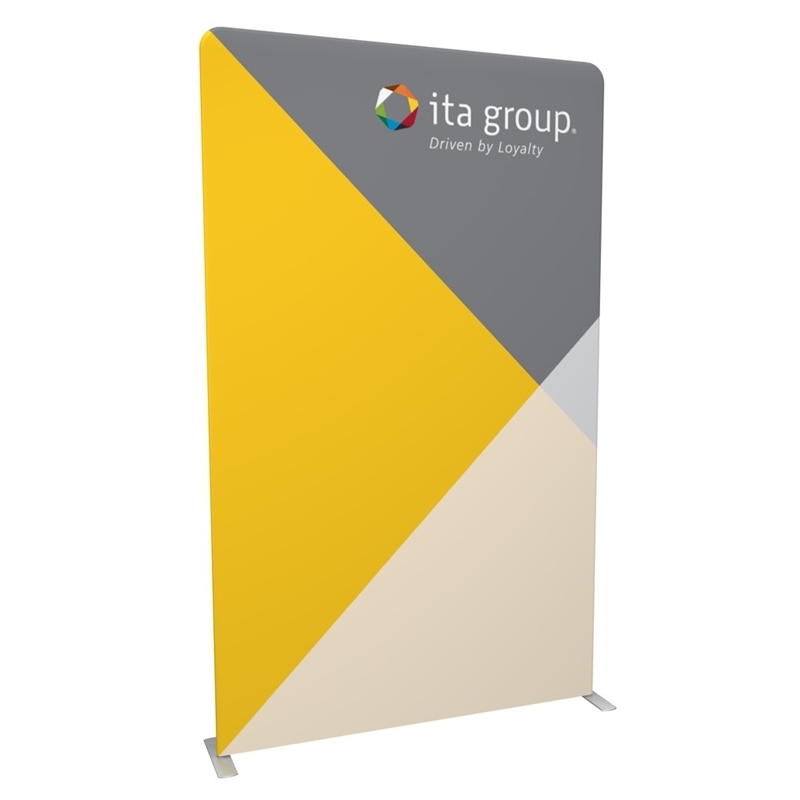 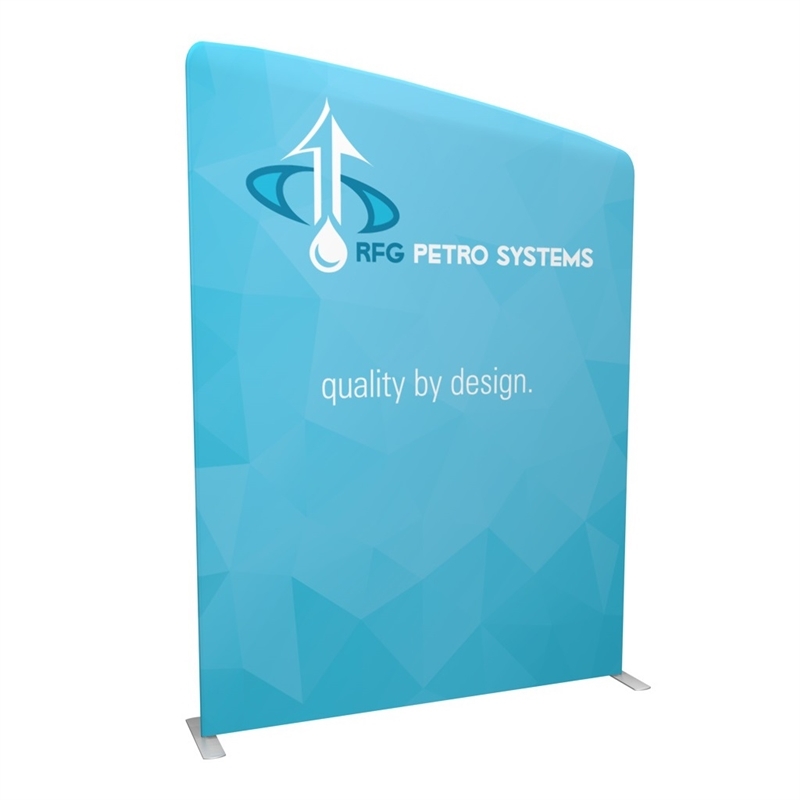 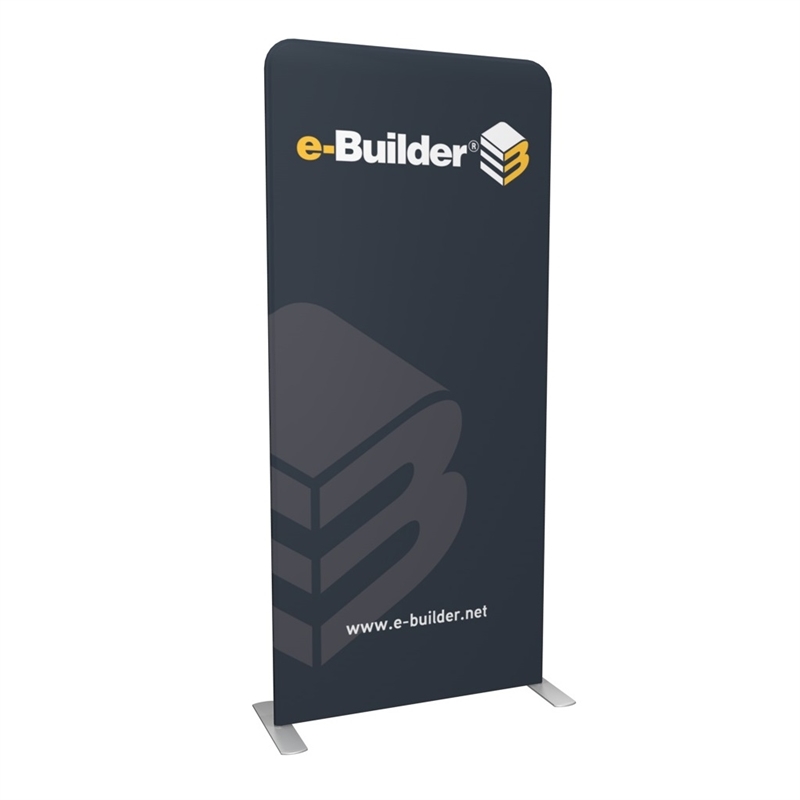 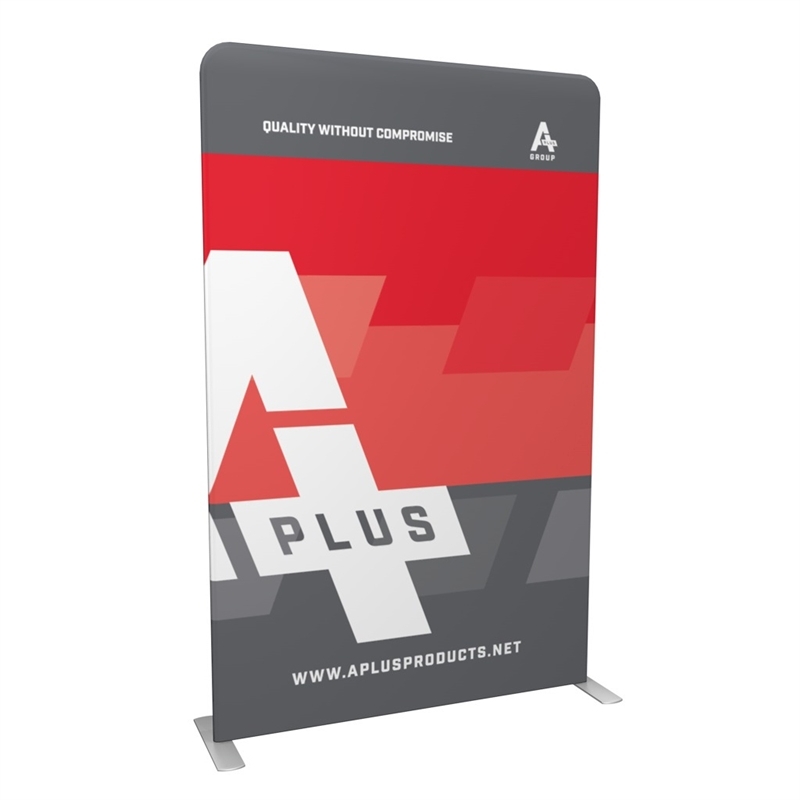 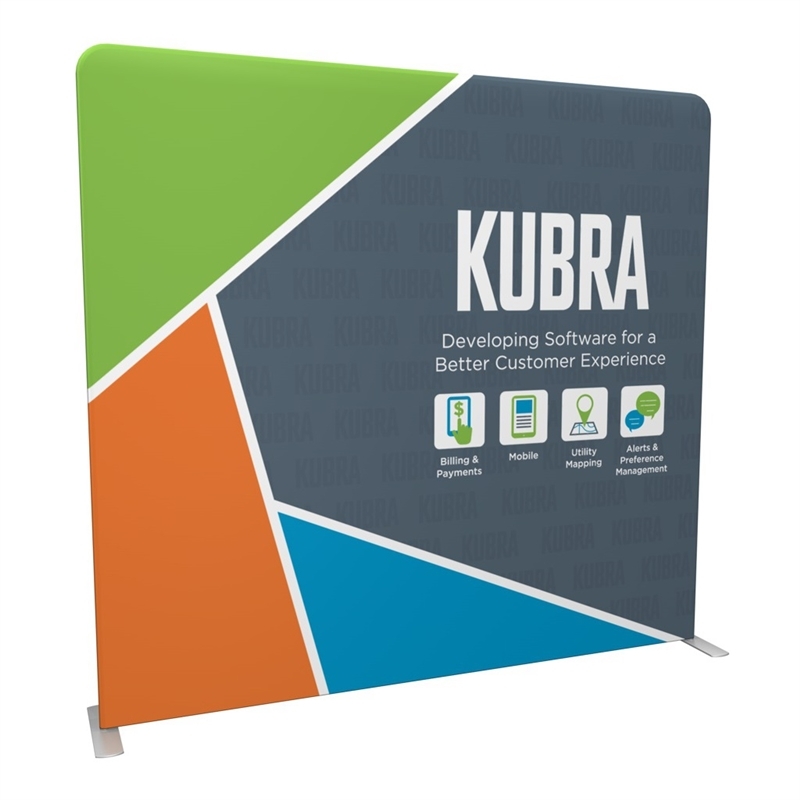 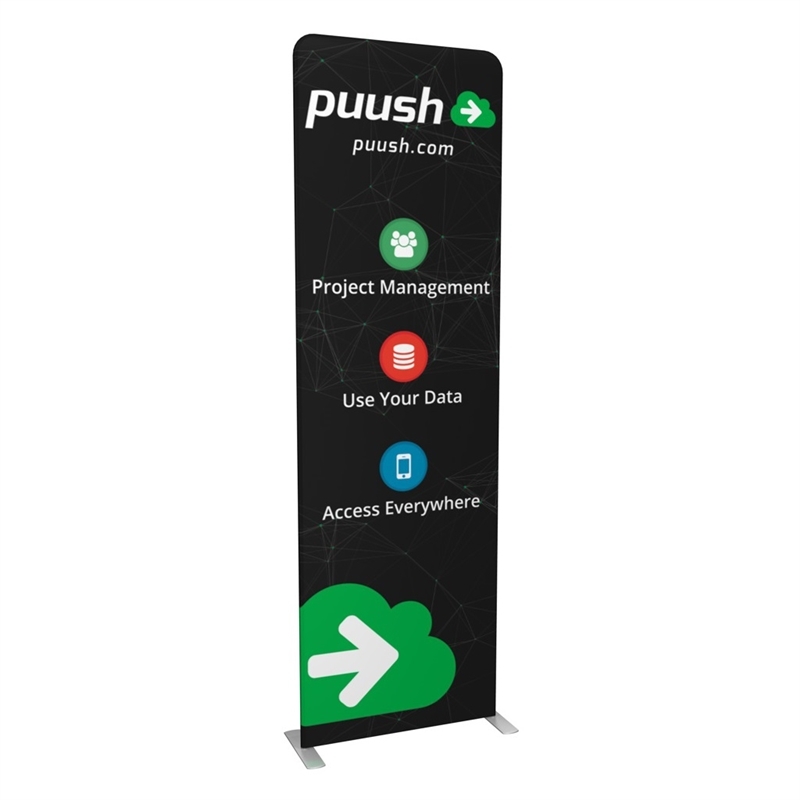 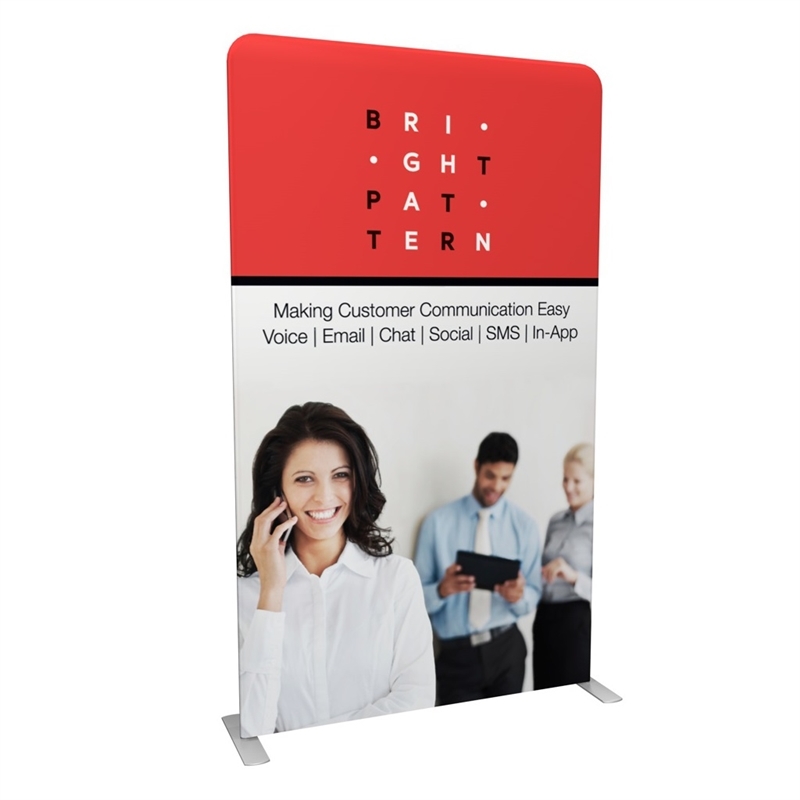 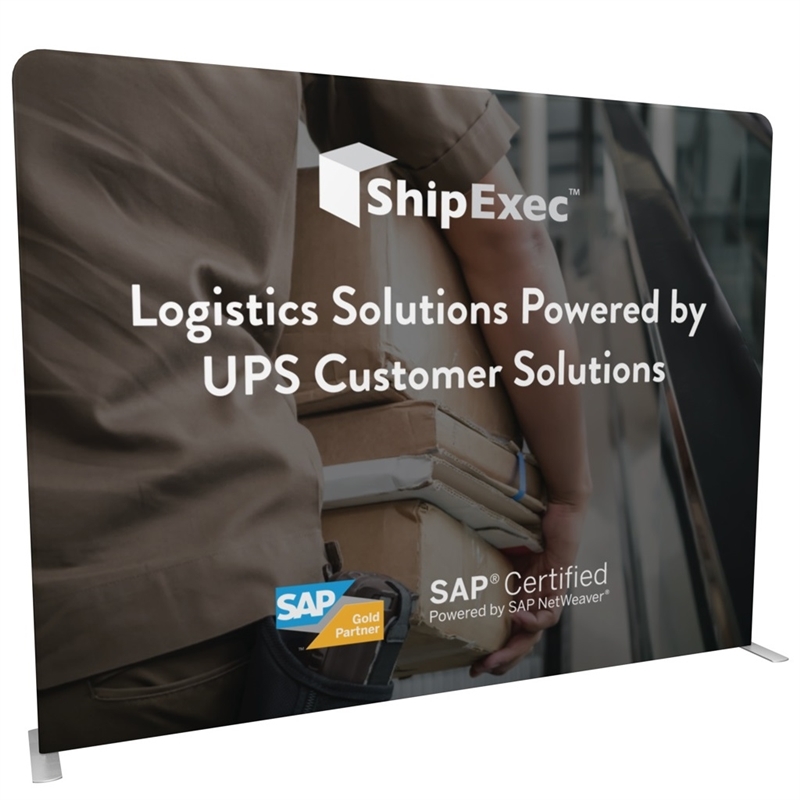 The Waveline Media Panel P (96x89) is a simple and lightweight, yet strong aluminum tubing frame zipped inside a wrinkle-resistant stretch fabric graphic print. 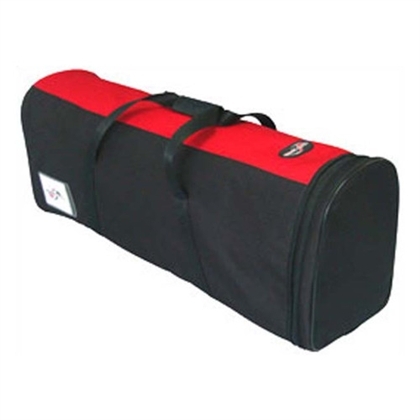 Price includes a soft nylon padded bag for transport. 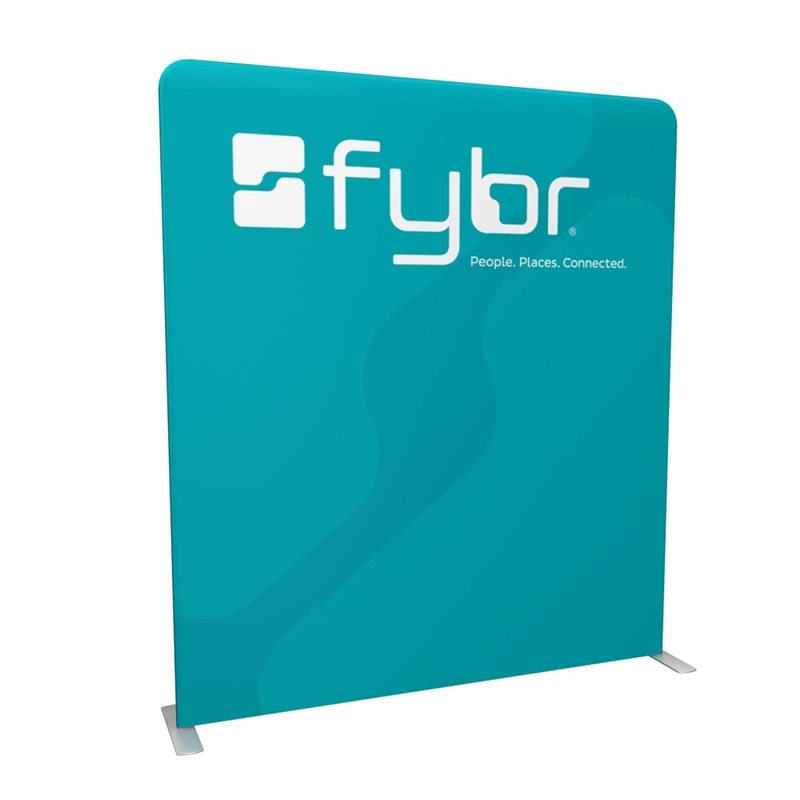 The framing system is elastic shock-corded 1-¼” aluminum tubing that has locking connectors and is coded for easy setup. 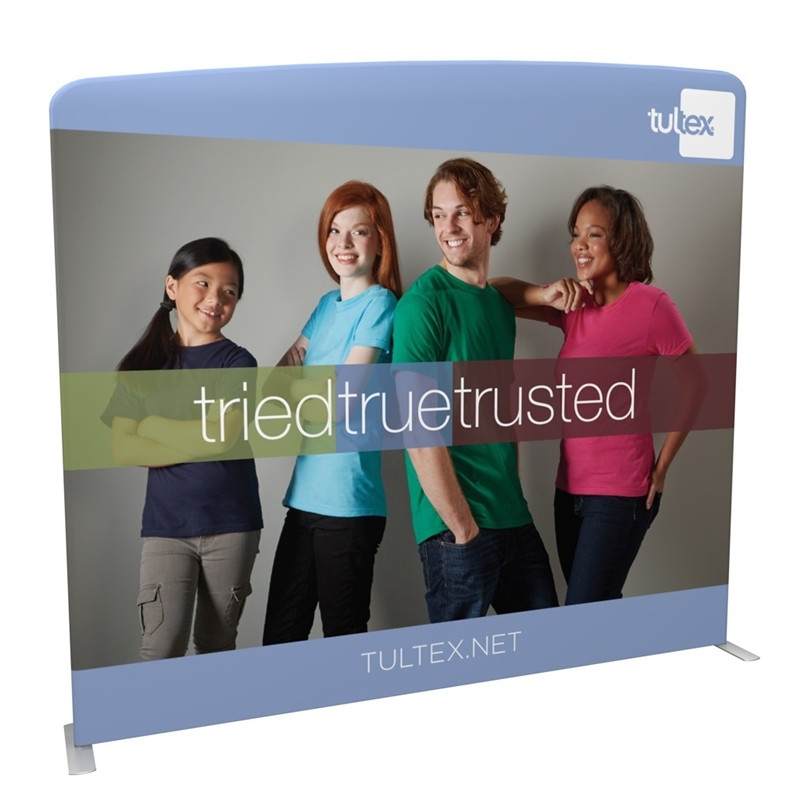 The graphic is printed onto the stretch polyester fabric using a state-of-the-art 8-color digital dye-sublimation process and envelopes the frame entirely, zipping closed.